I've been busy stamping using a new stamp from MoYou Nails. This is plate number 102 and it has 7 different filigree designs. I've used the images on their own and layered up to cover the whole nail. I've used different coloured stamping polishes also available at MoYou Nails which currently cost £4.99 each or 3 for £10 or 5 for £15 and come in 12ml bottles. The stamping plate 102 is currently £4.49, I had no problem using the plate or the polishes, all worked first time. Check out my video below for a demonstration. 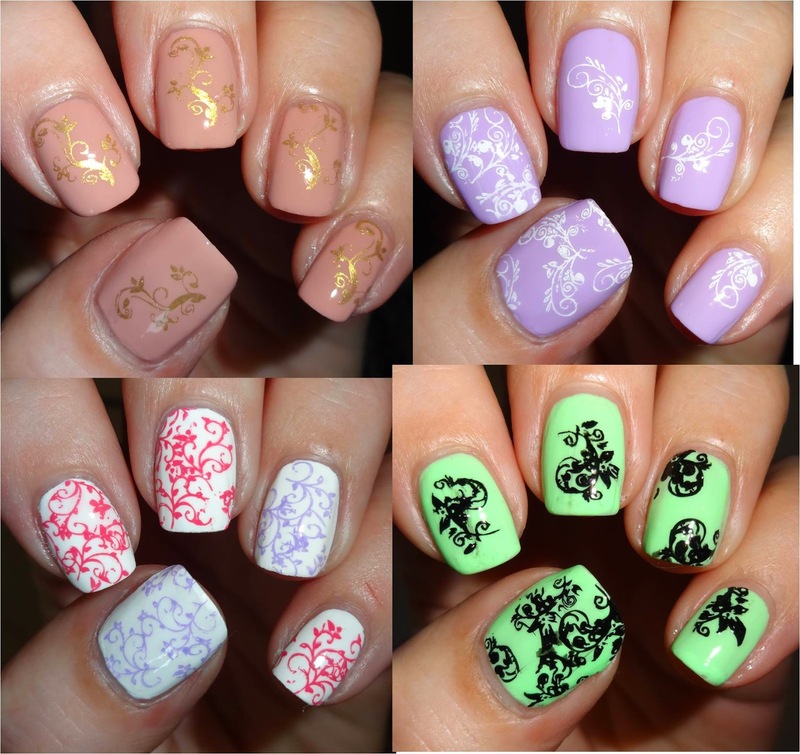 Every time I see MoYou stamping designs, I want more MoYou stamping plates!! They are always so pretty!